Art Deco interior design is one of the most interesting and influential visual arts style there is. It is characterized by bold geometric patterns and forms, lavish embellishment and metallic and rich colors. A room with an art deco interior is eclectic in nature. Different styles like traditional and Machine Age imagery and materials are put together to form such unique beauty. To pick for an art deco design for your dining room is a good choice. It is stylish and exudes a contemporary feel that is chic yet inviting. The stunning geometric forms used on furnishings will sure to give character to any space. The rich colors and lavish ornamentation bring luxury and glamour while depicting nature and technology. 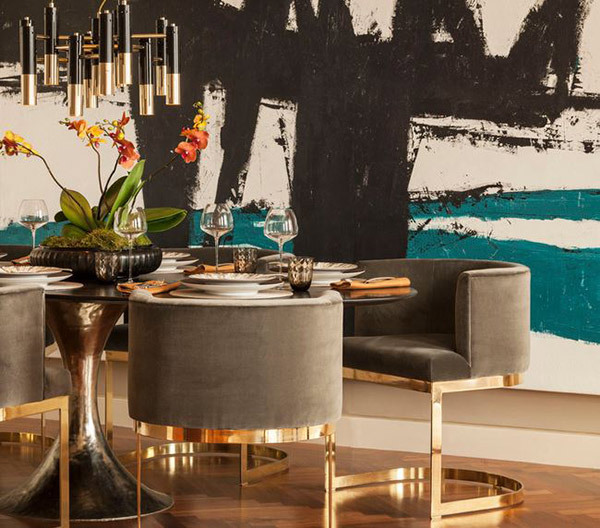 If you are still not sure how to give an art deco flair in your dining space, here are 20 awe-inspiring art deco dining room designs to get you started. The Penguin mirrors add fun and depth while the chandelier brings drama and luxury to the stunning modern dining table and chairs. The geometric pattern on the built-in cabinet makes an interesting backdrop on this art deco dining room design. 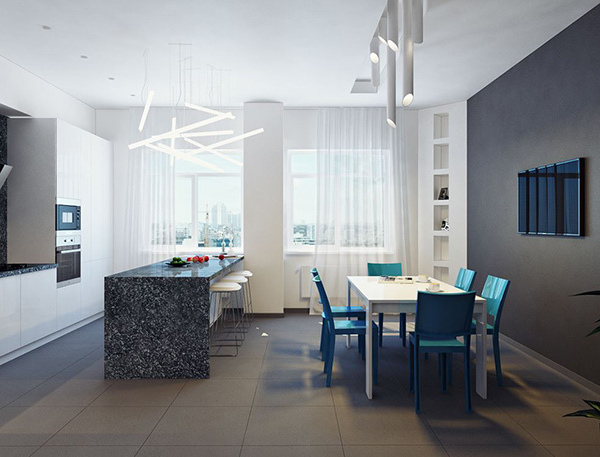 The striking light fixture highlights the accent ceiling giving its modern yet elegant appeal. 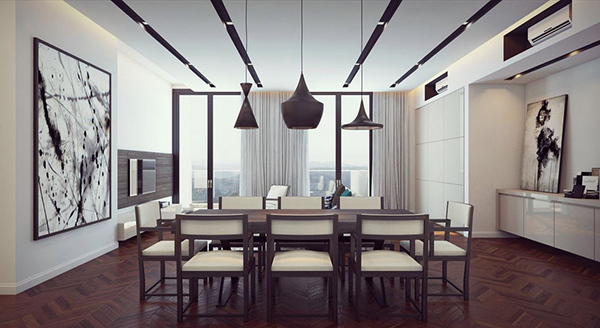 This dining room has a very modern take on art deco. 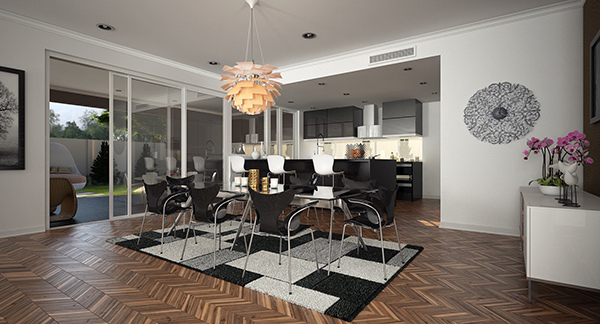 Its clean lines, sharp angles, high-gloss finish and laminate flooring make this room sleek with a contemporary feel. 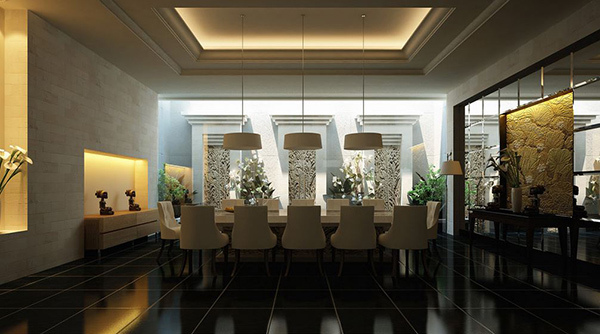 The black flooring set a moody tone against the white motif in this dining room. A stylish and modern way of decorating with art deco is the use of geometric patterns and forms in minimum. The use of a bold, geometric area rug in this dining room creates a distinction in the space making it chic and inviting. 6. M Design Interiors Inc. Image: M Design Interiors Inc. 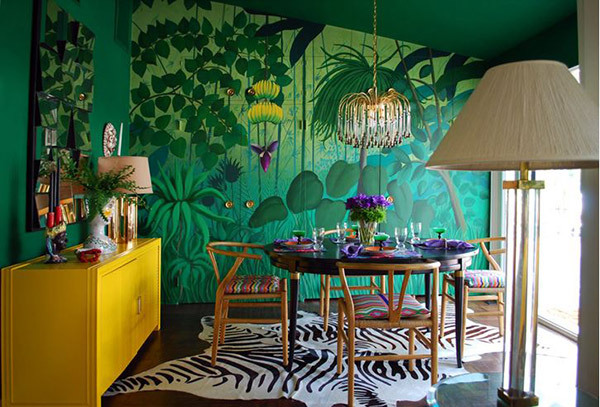 I love the concept and vibrant colors in this dining room! 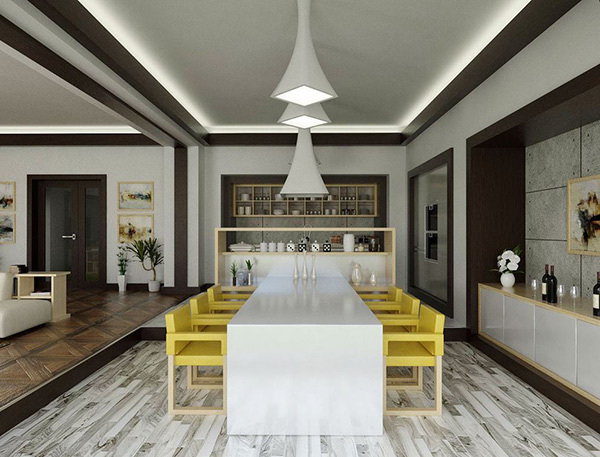 Its rich colors and patterns matched with the stylish chairs and table accentuated by a stunning light fixture, depicts nature in a fun and modern way. This art deco dining room design was made even more interesting with some ethnic and earthy tone touches. The yellow chairs bring an instant happy mood in this dining room design. Geometric patterns from the floor to the sharp angles of the light fixtures keep the chic and contemporary feel in the whole space. I love the boldness of the large-scale black and teal abstract art framing the dining area. A black and gold art deco chandelier bring luxurious feel and drama to the stunning black and gold dining table and chairs. This chic art deco dining room is full of geometric forms and patterns that will make your eyes busy. 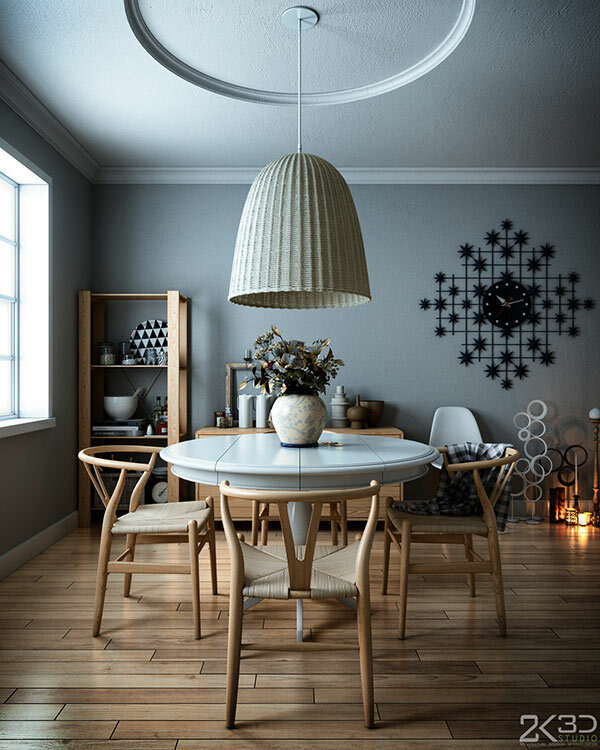 The black and white color scheme brings a minimalist flair while the wood tone on the dining table adds a casual feel to the rest of the elegant furnishings. 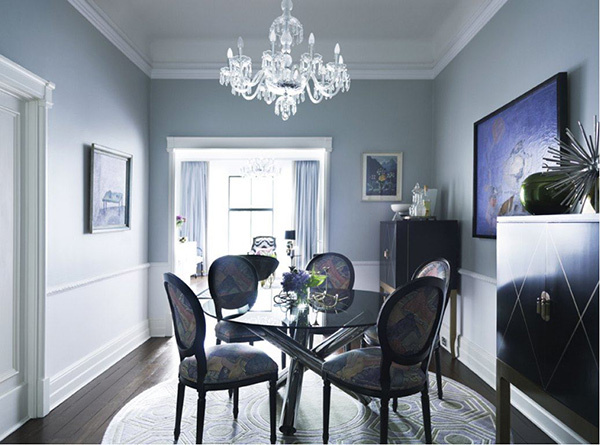 Gray and neutral hues keep this dining room beautifully, cool and calming. 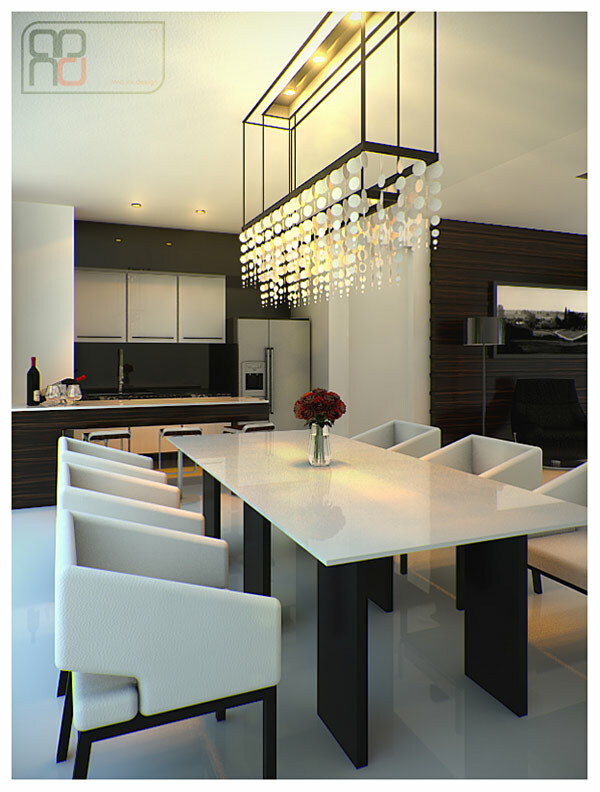 The use of white light fixture mirrors the white table ornaments adding interest to this dining space. Art deco meets classic traditional design. 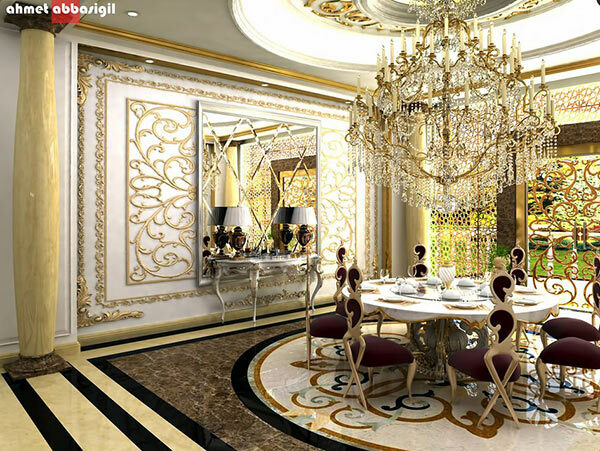 This dining room is stylish and glamorous. the velvet and gold combination exudes elegance and class. 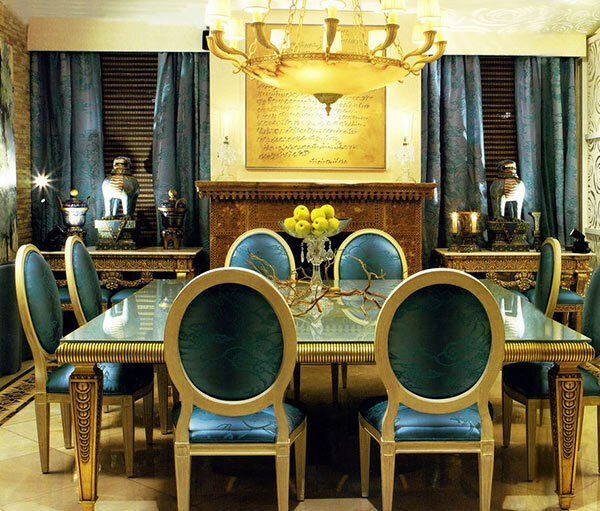 Peacock blue and gold bring a touch of royalty on this symmetrical art deco dining room design. This art deco has minimal geometric patterns and sharp angles, no bold colors keeping it in rather discreet manner and that make this dining room simply adorable and chic. 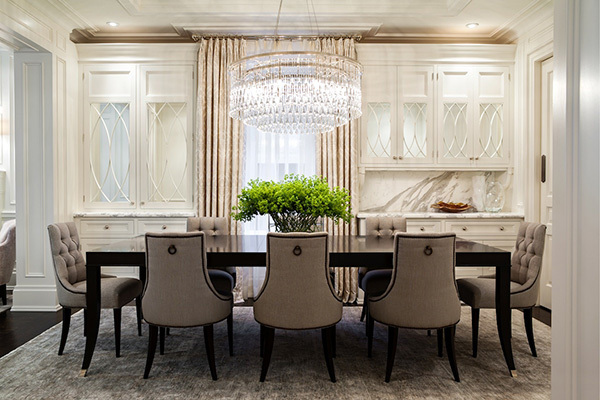 High-gloss table top and flooring, sharp angles on the white chairs and fancy chandelier that steals the center stage make this art deco dining room. The art framed on the wall continues to the oval chairs giving a regal feel while the area rug with its patterns bring coziness to this dining room design. 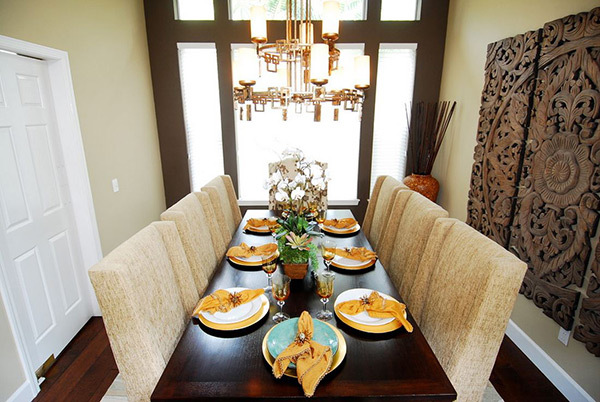 I love the rich chocolate browns gracing in this dining space! 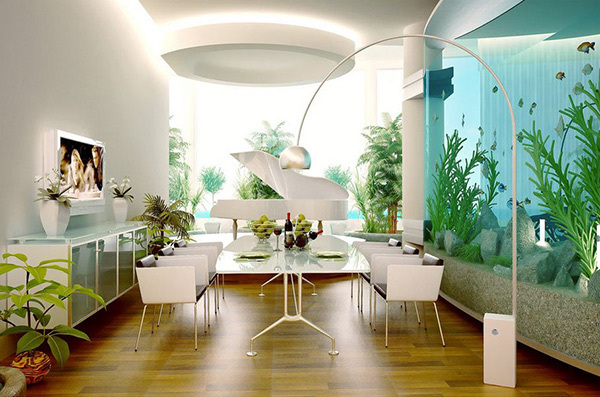 It gives this art deco dining room a relaxing, contemporary ambiance. 18. Jennifer Worts Designs Inc. The intricate details of the cabinetry adds character to this elegant dining room design. The use of earthy color scheme bring warmth to this luxurious space. Candy-colored-chairs add whimsy and zest to a modern-chic interior design. The 3D leaf ornament against the wall makes an extraordinary statement for a dining room. 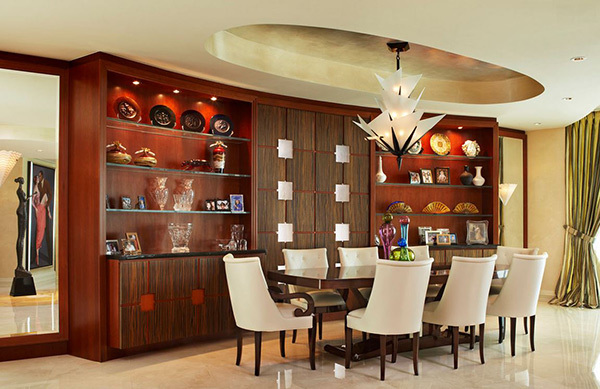 The art deco style adds an exquisite flavor to any interior and in this case, the dining space. It is appealing to people who love sleek finish, bold colors, geometric motifs, curvilinear forms and sharp angles. The usage of synthetic materials like plastic, high-gloss metals, black lacquer, exotic woods, leather, high-reflective surfaces and mirrors are key elements in getting an outstanding art deco design. If you are not a fan of bold or vibrant colors, there is no need to worry about. Black and white scheme is absolutely acceptable. Sometimes keeping the colors in neutral gives highlight to a more deserving accent in the room like an electrifying geometric wallpaper, or luxurious art deco-inspired chandeliers. The possibilities of creating an artistic and appealing art deco dining room designs are endless.